Discussion in 'Dovetail Live Article Discussion' started by TrainSim-James, Apr 17, 2018. 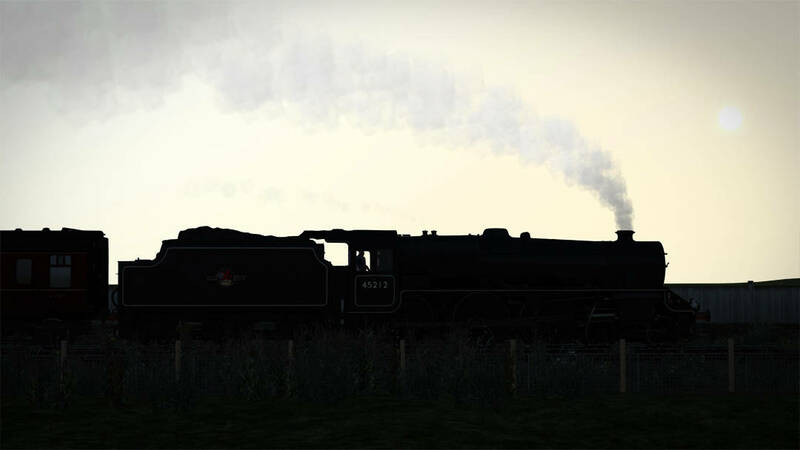 A total of 842 “Black Five” locomotives were built for the London Midland and Scottish and later British Railways; and soon, a truly definitive add-on will be unleashed, in the form of Partner Programme developer Bossman Games’ fantastic LMS Stanier Class 5! This looks beautiful. The Black 5 is a key locomotive, and the WLoS update did something, but a new Black 5, especially at Ben's detail will be exceptional! Wow this is going to be amazing. The black 5 is my favourite steam loco and it is great to see this all round workhorse coming to train simulator. well done Ben and anyone involved with this stunning loco! It's about time that we got an LMS version of this engine. Looking forward to this loco! Not to mention, this is Henry in real life! That's a plus. I wonder how many people know about the Black 5 because of Henry? Like how everybody knows what an E2 is only because that's Thomas' basis. Odd fact: Black 5s don't have wheel splashers, but in the television series Henry does, which makes him look more like a Jubilee than a Black 5. What exactly are the wheel splashers? Wheel splashers are the round "humps" on the running plate above the driving wheels. So far I've only seem them on British locomotives - I don't think I've seen them on German or American steam locomotives. You've more than likely seen them but haven't paid them any mind. Here is a screenshot showing off a locomotive with very prominent wheel splashers: the Castle Class. Presumably this means that the pack maybe released in the next few days? I would presume its this week / weekend? I believe some of the early American locos, pre-1900 did. I have seen a few of the old 4-4-0s with them. I agree. The BR era is so overrated! The BR logo an okay logo, to be sure, but it's been done to D E A T H. By and large the majority of British locos currently in the store wear the BR logo. It's become a tad old and stale. Seeing a logo from the days of the "Big Four" is refreshing. It's like having chocolate ice cream after having nothing but vanilla for a long time. Both flavors are good, but the change from vanilla to chocolate is welcomed and refreshing.